2013 Fulbright recipient Tara Prasad. Photograph by Michael Bradley/Bates College. 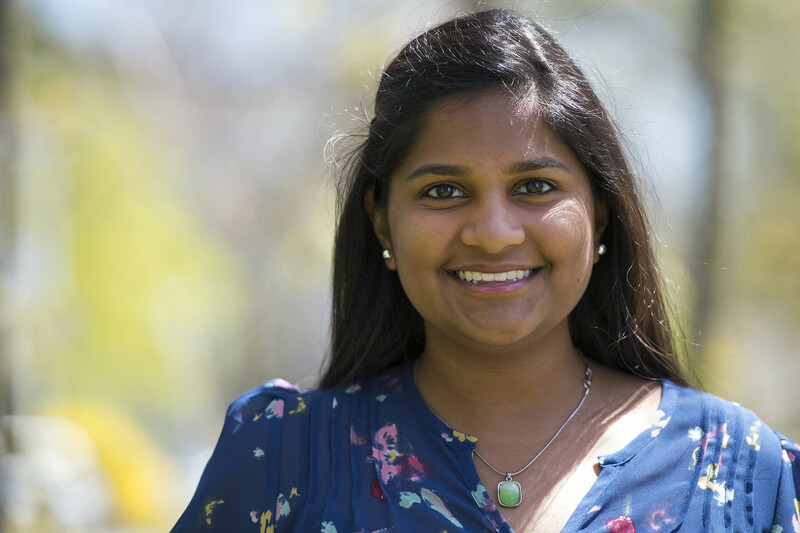 A major in biological chemistry and minor in education, Tara Prasad ’13 of Lincoln, R.I., received a Fulbright English Teaching Assistantship for work in South Korea. Prasad is intrigued by an educational system, common across Asia, that emphasizes rigorous rote learning, in contrast to the Western model that stresses discovery and critical thinking. Through Prasad’s experiences in school in India and working with a Korean student who lived with her family, “I developed an insatiable desire to understand how people learn and the cultural implications behind effective teaching. “The Fulbright ETA will allow me to analyze successful South Korean teaching, and use culturally modified methods to instruct my students,” she says. Prasad, who conducted public health education research at Bates and worked as the campus Teach For America coordinator, plans to teach middle school in a rural community through Teach For America after returning from South Korea.